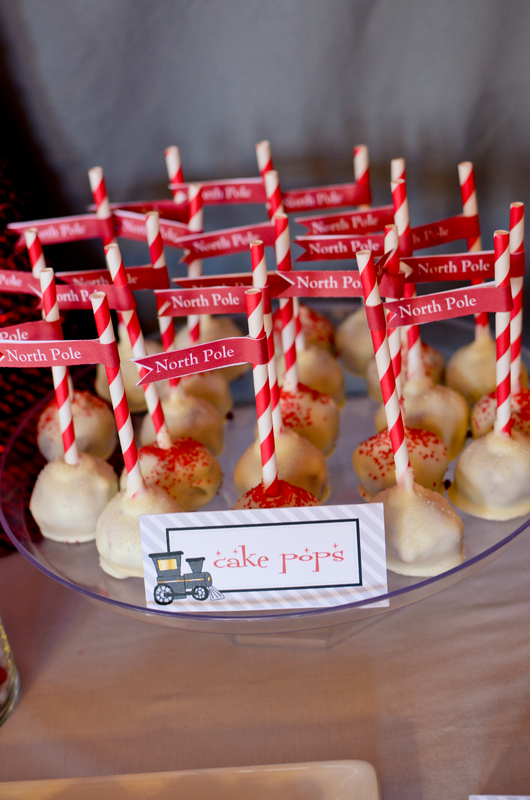 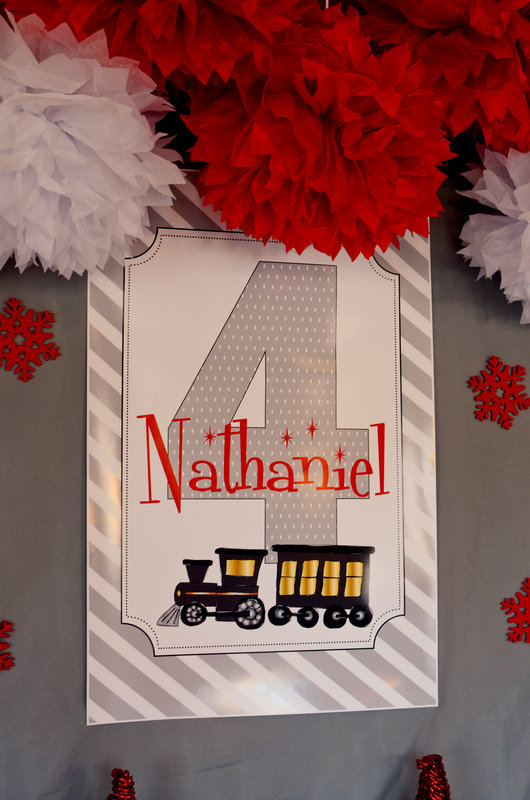 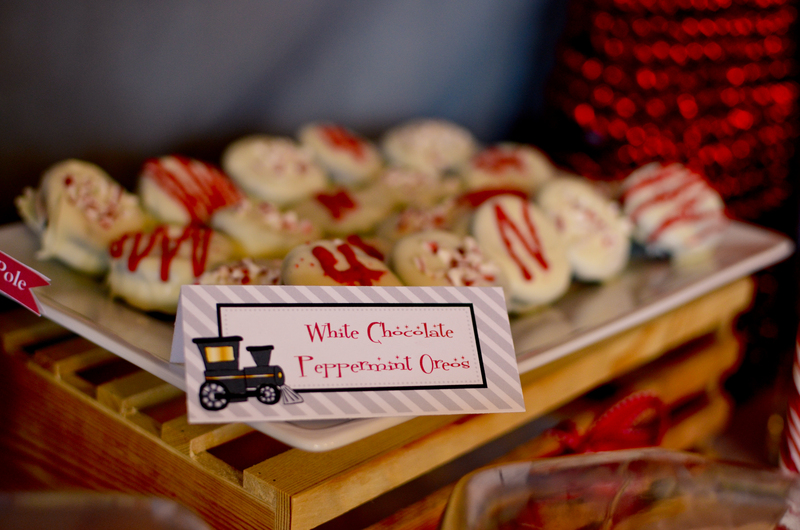 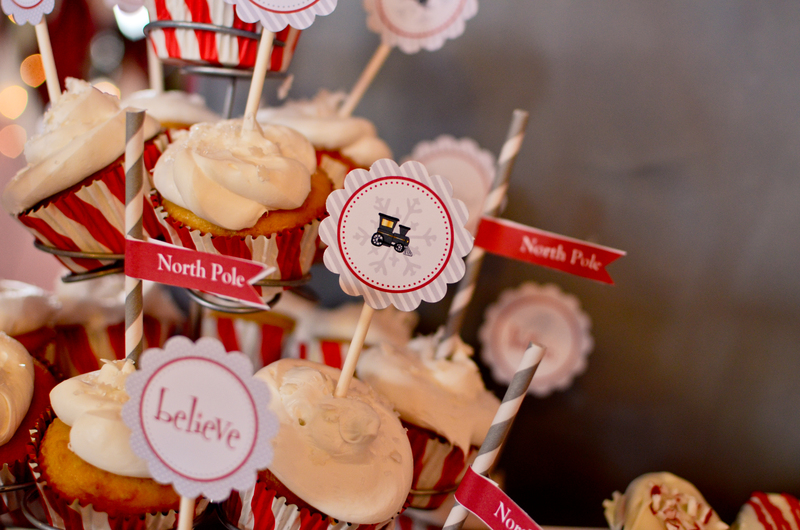 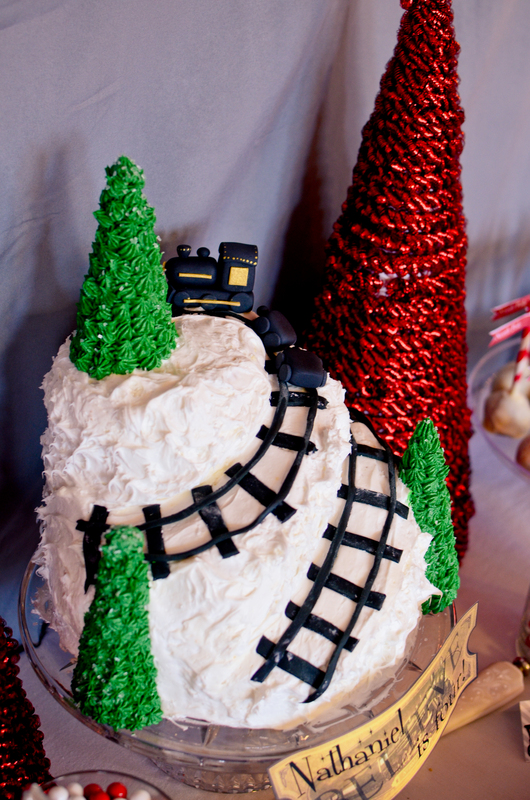 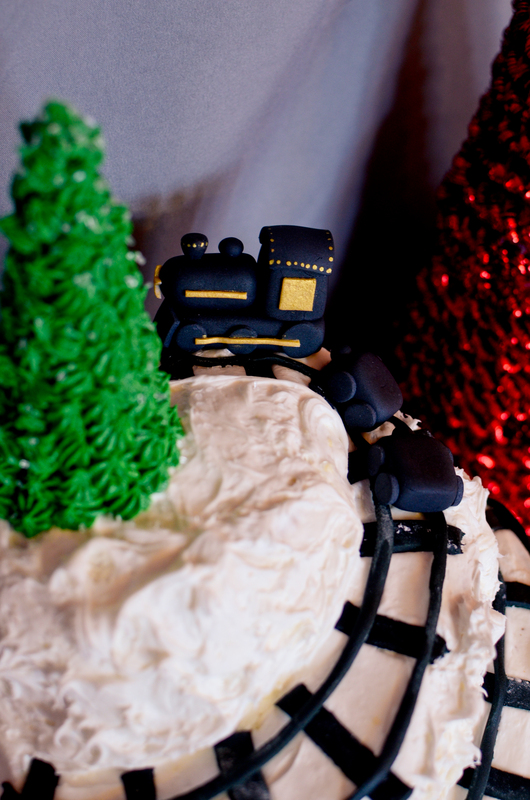 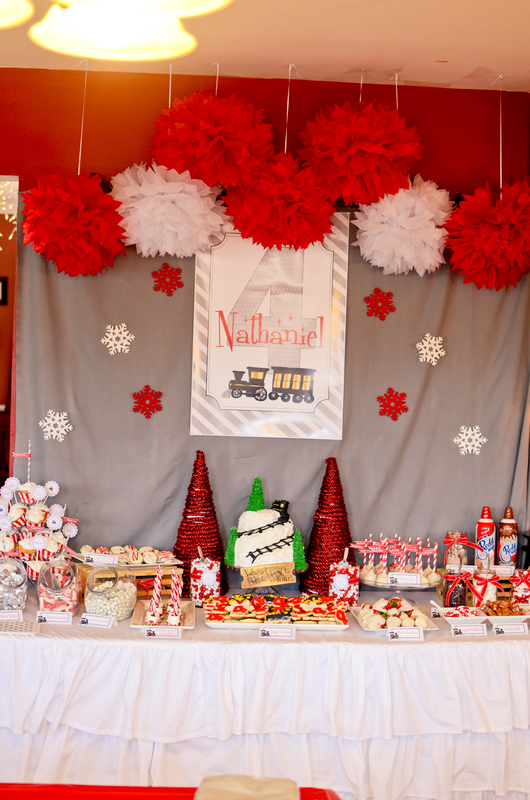 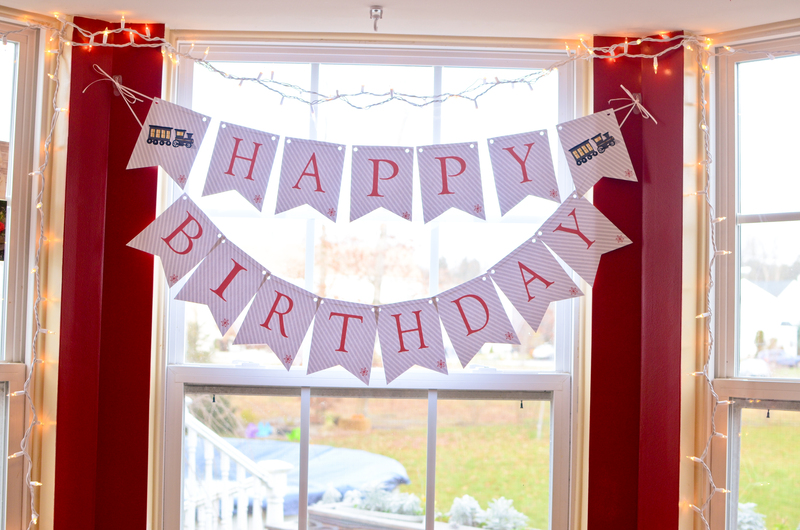 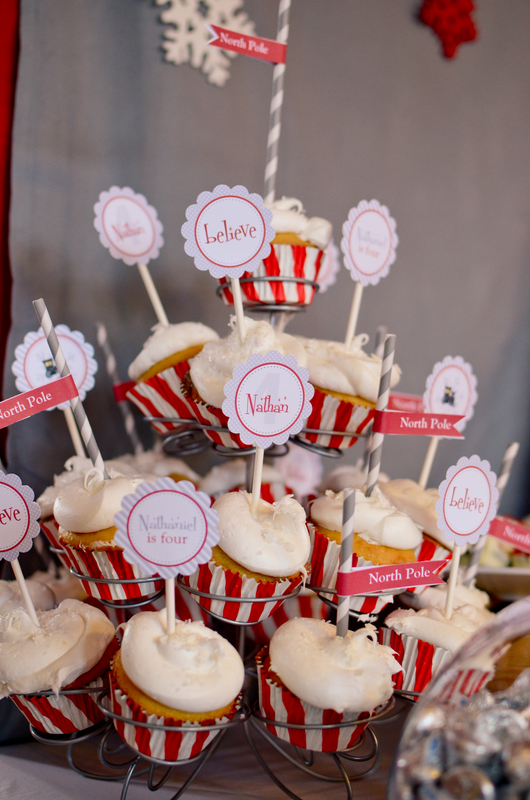 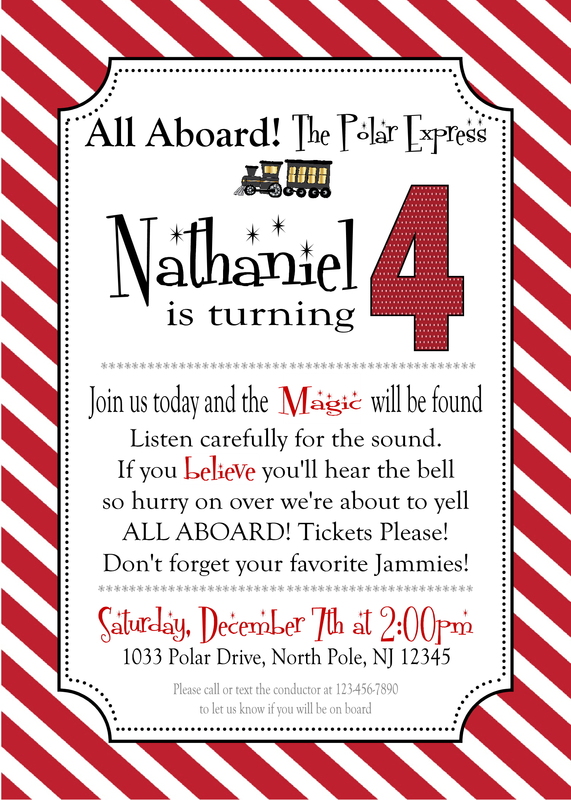 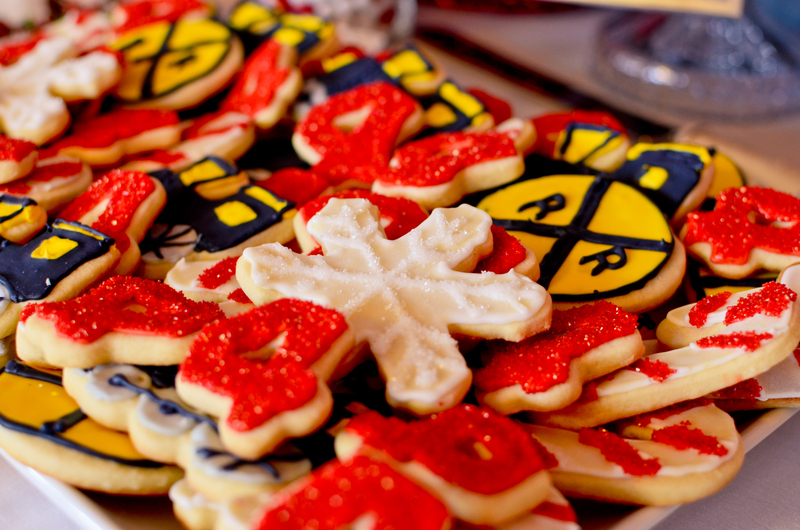 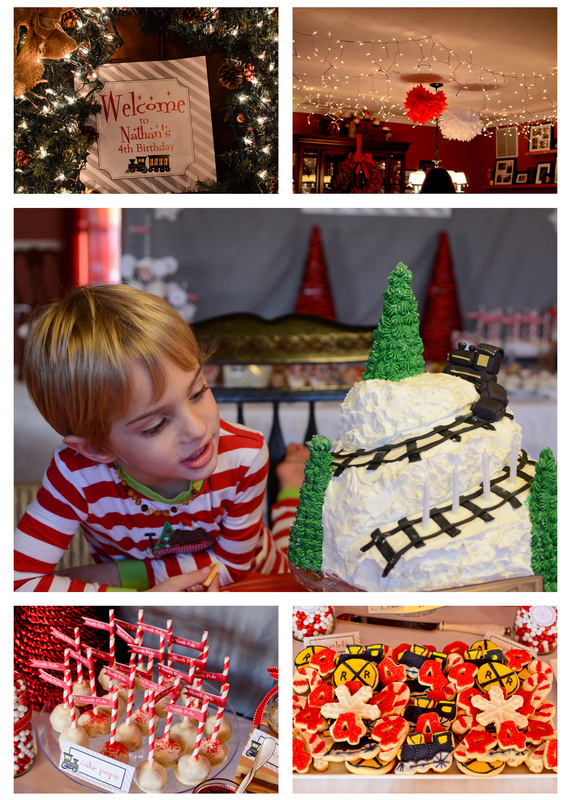 Last winter we put together such a fun theme for my little Polar Express loving son! 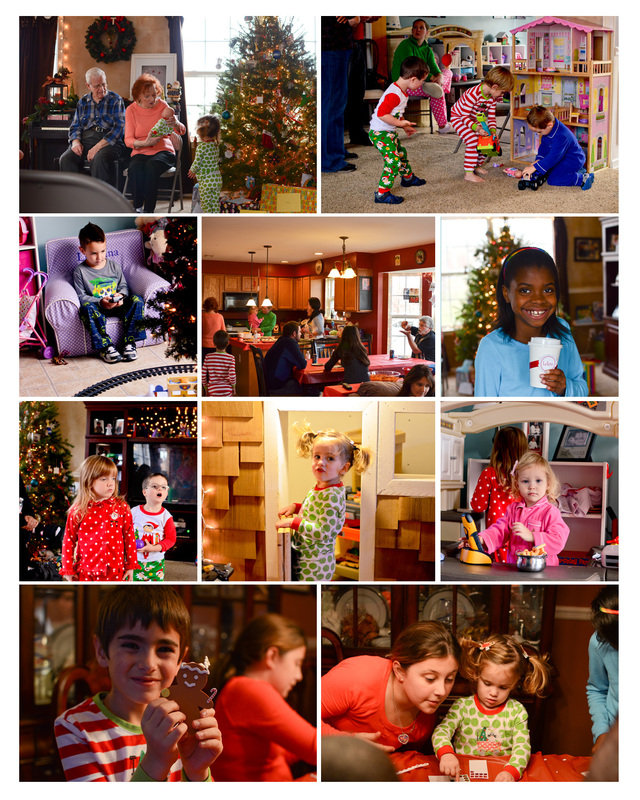 I thought it would be fun to save the blog post for the new holiday season! 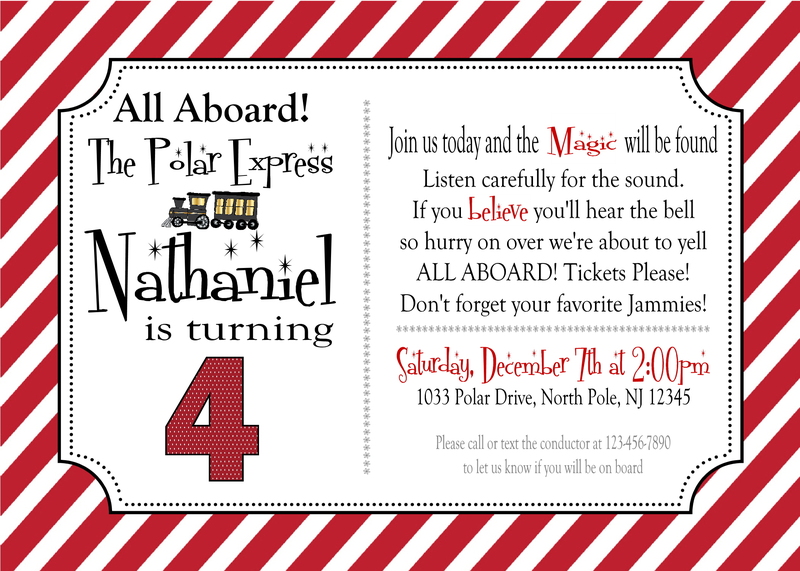 We kicked off the party with this adorable invitation I designed just for him. 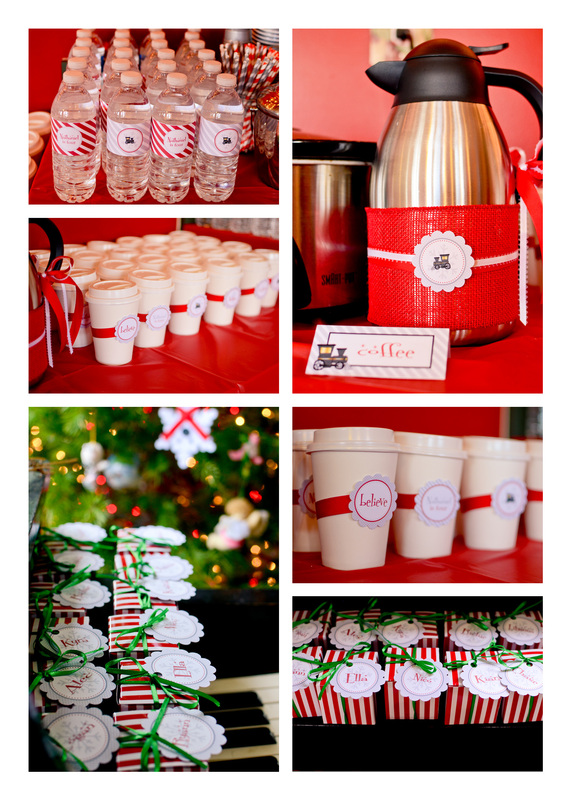 It is also available in a landscape version and each style can include a photo as well!! 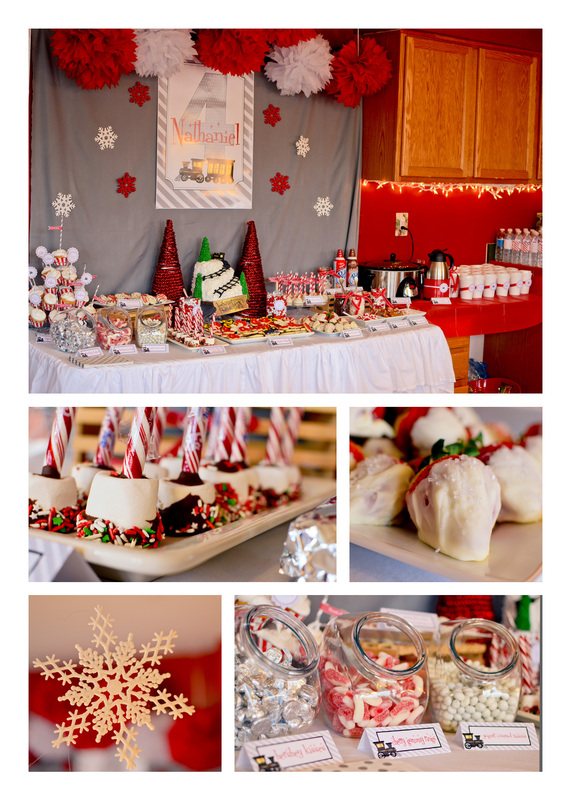 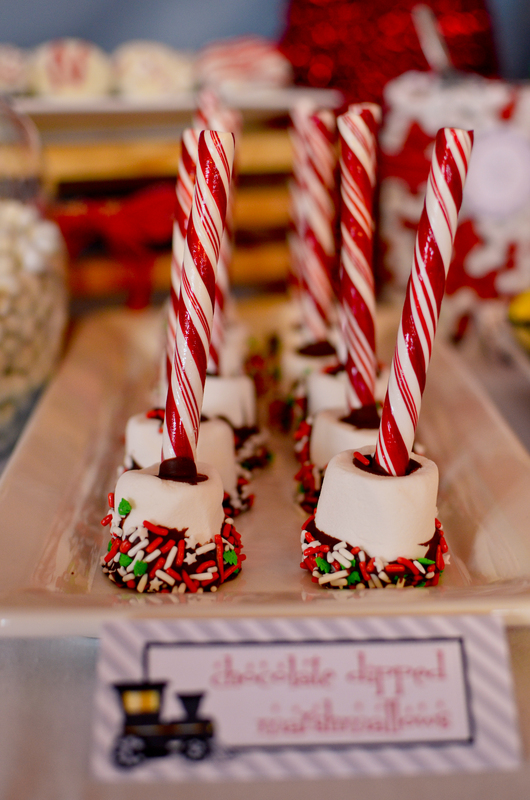 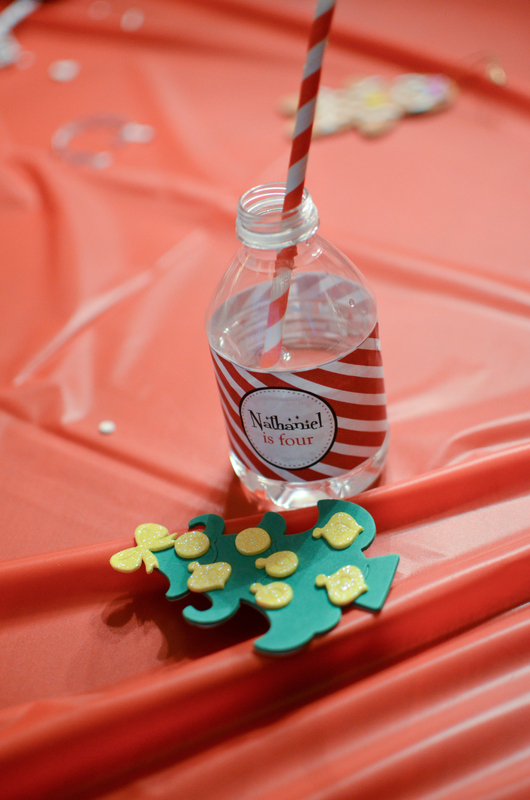 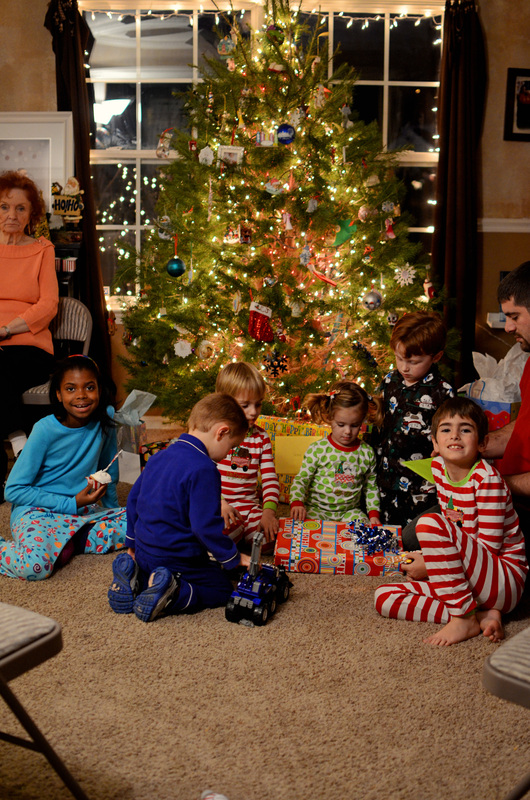 It was such a fun party filled with goodies, hot chocolate, kids in jammies and Christmas fun. 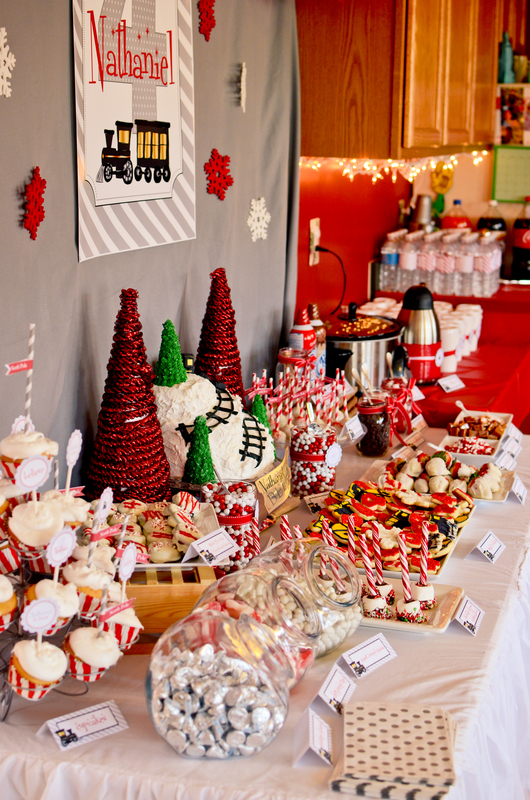 This is the dessert table where all the goodies and hot chocolate additions were. 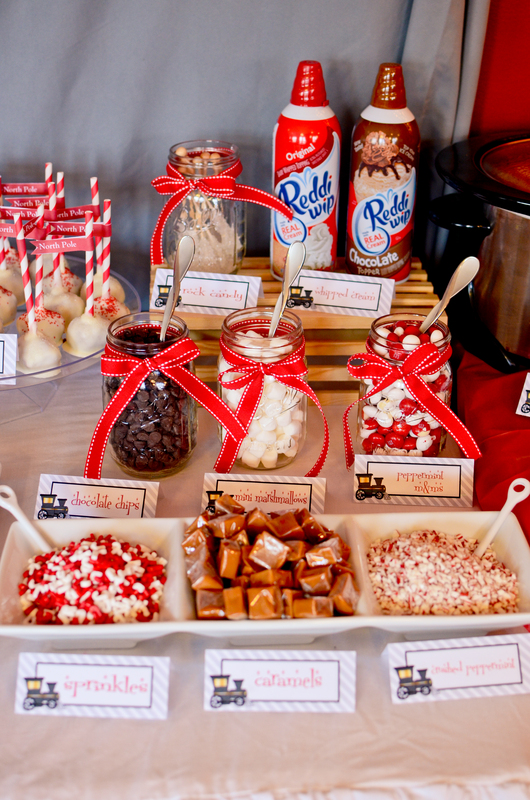 The kids had so much fun making their own hot chocolate and adding marshmallows, whipped cream and candy! 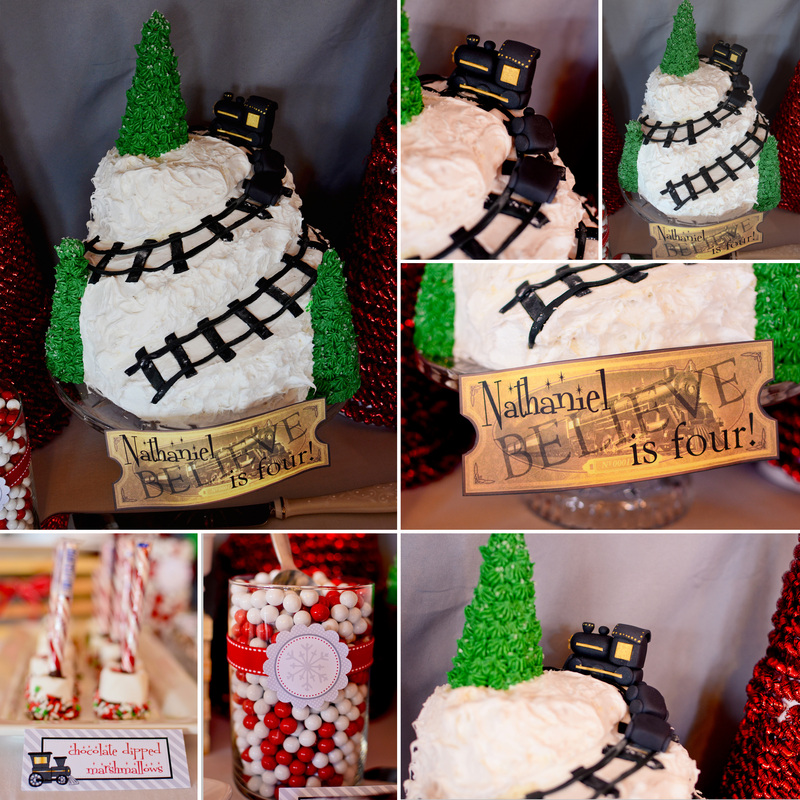 The golden ticket on the cake was a free download I found on pinterest and then I just added in the personalization with my computer program. 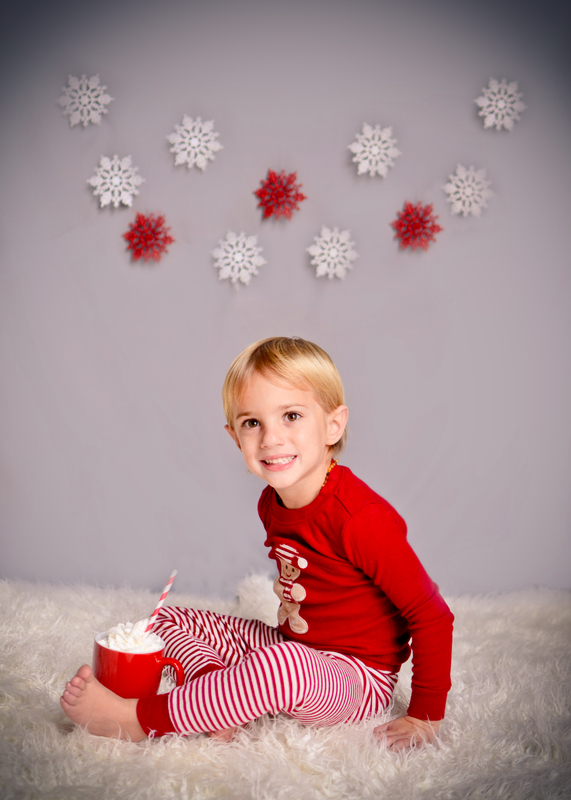 This can be done easily in photo shop! 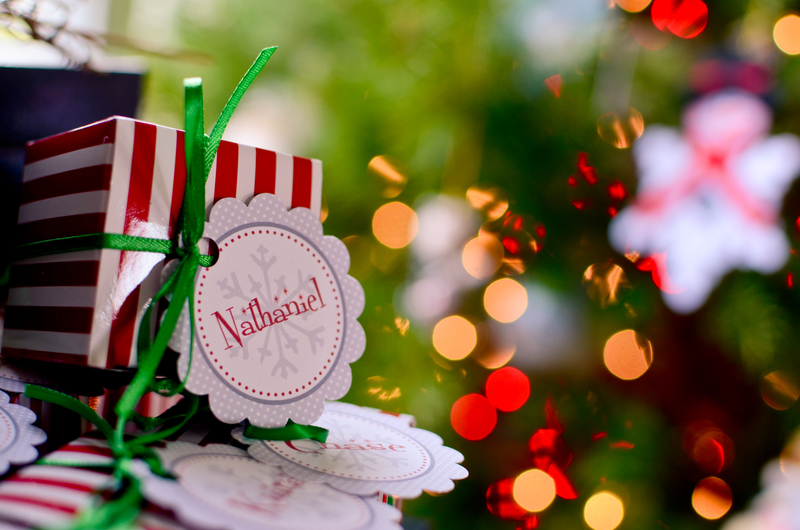 You can find the link to the free download here. 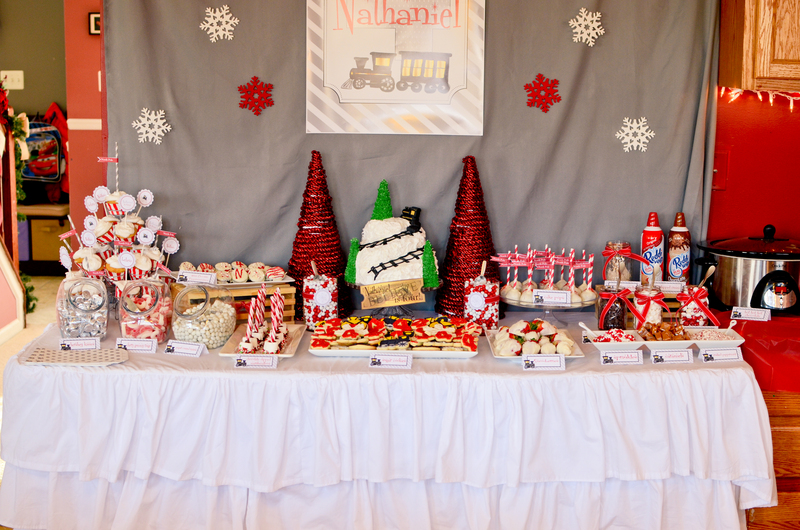 The rest of the dessert table included some baked goods made by me as well as some color coordinated candies from nuts.com. 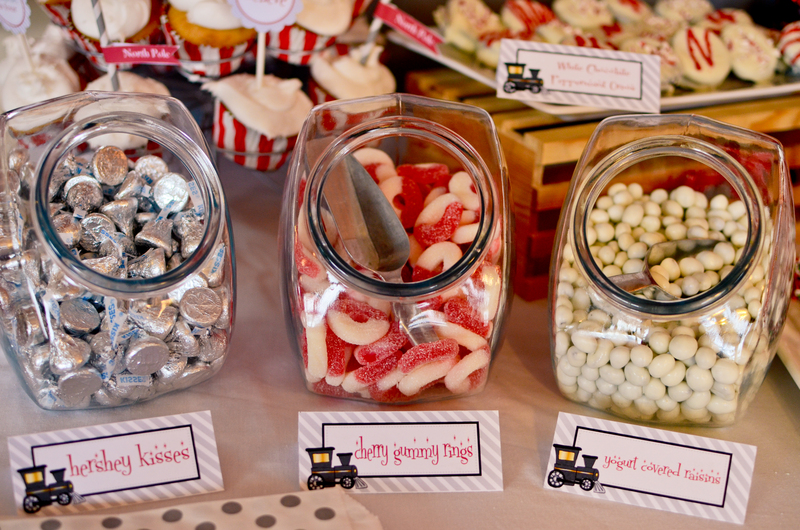 I love nuts.com because they have a large assortment of reasonably priced candies by color and the shipping is super fast! 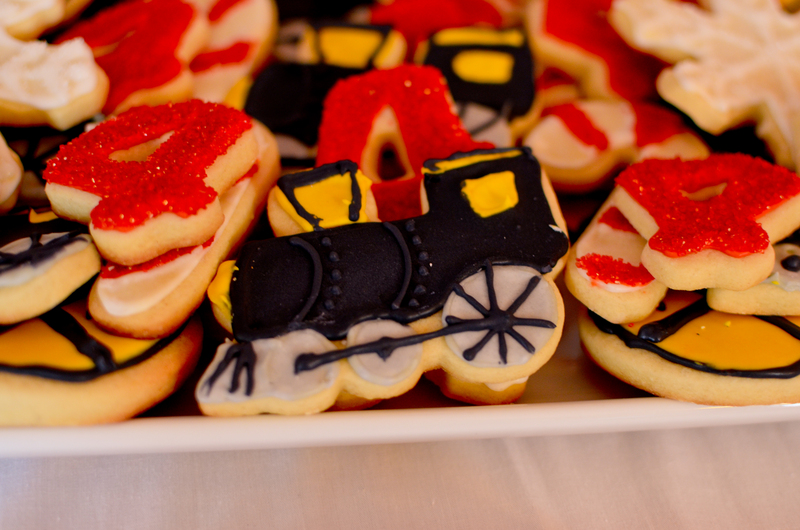 PLUS they always include a little surprise treat which thrills my kids each time! 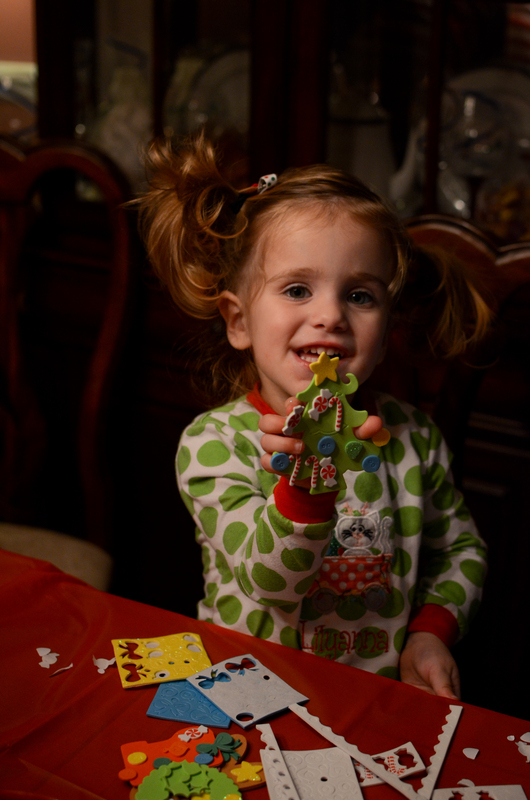 We ended the party with some present opening by the tree and favors for all. 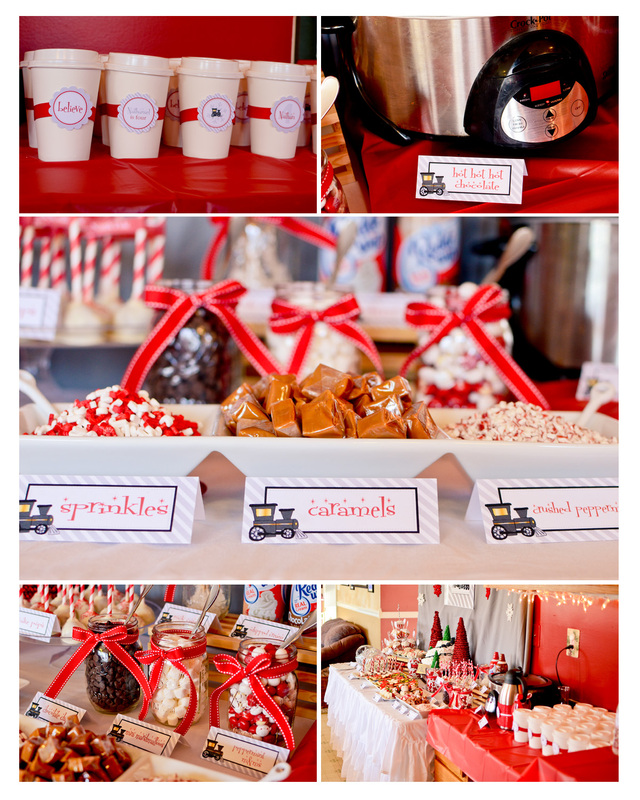 Each child took home a bell from Santa’s sleigh wrapped up in an adorable red and white striped box just like the box in the movie.